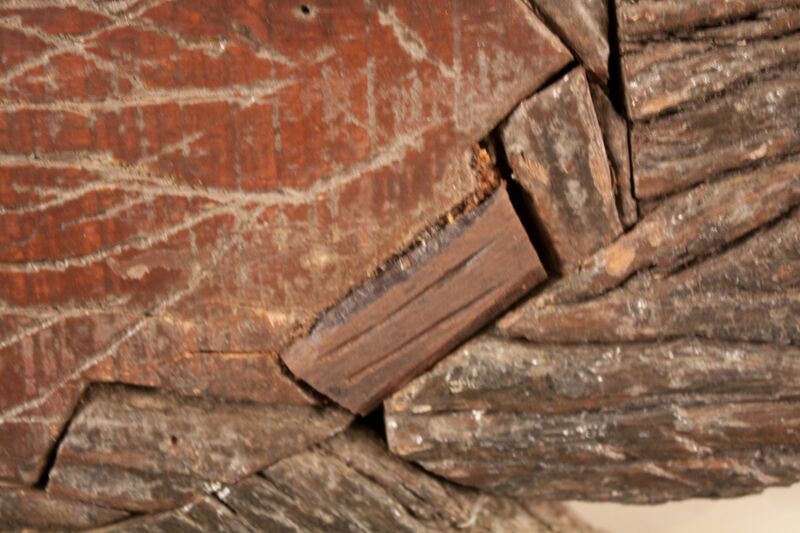 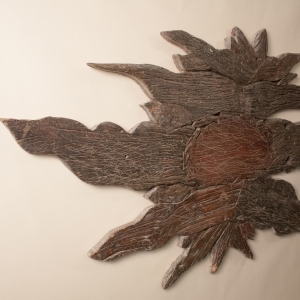 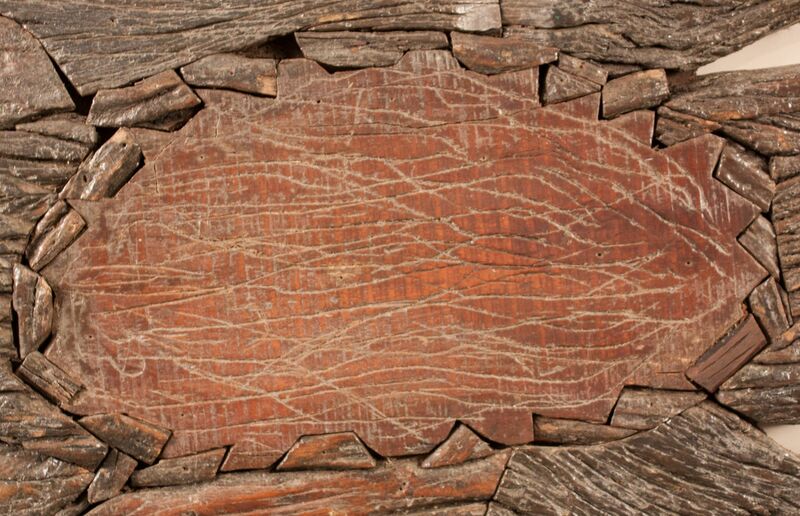 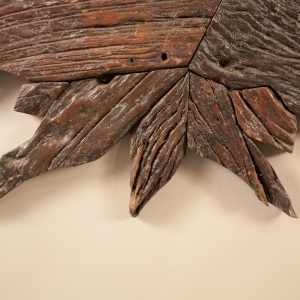 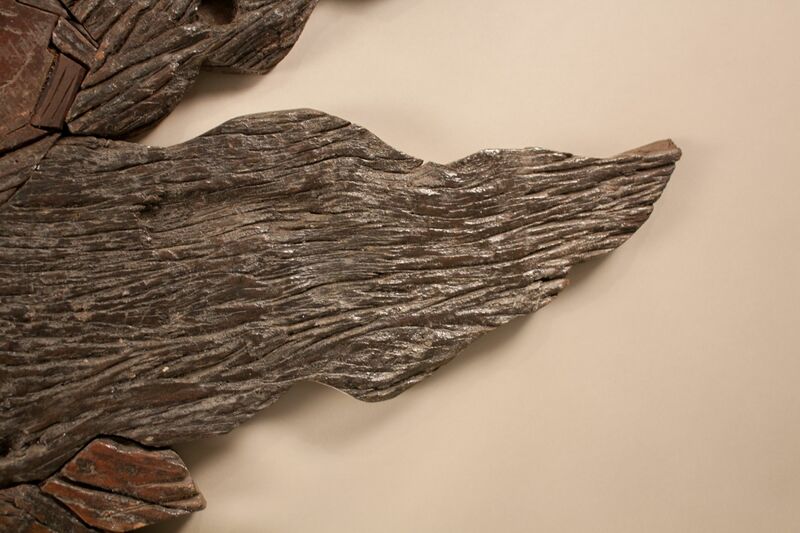 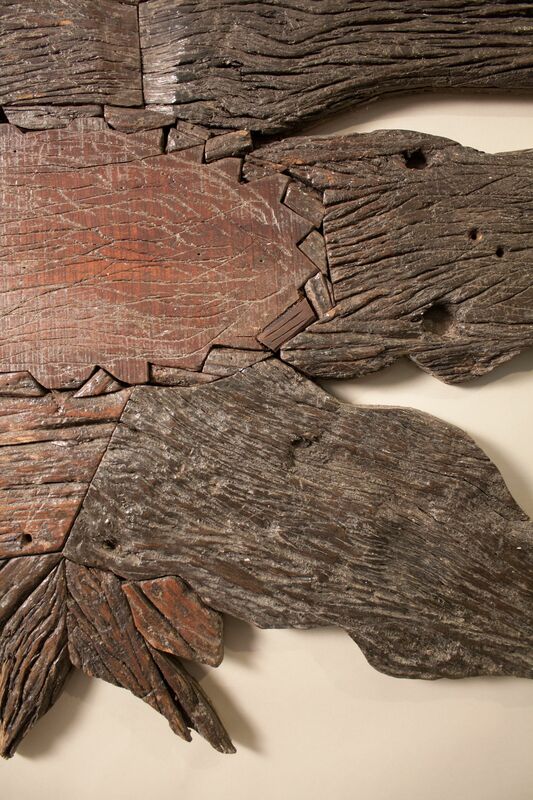 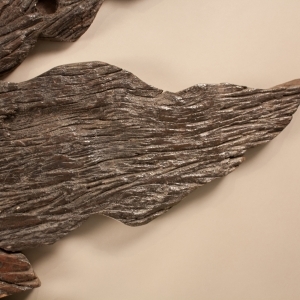 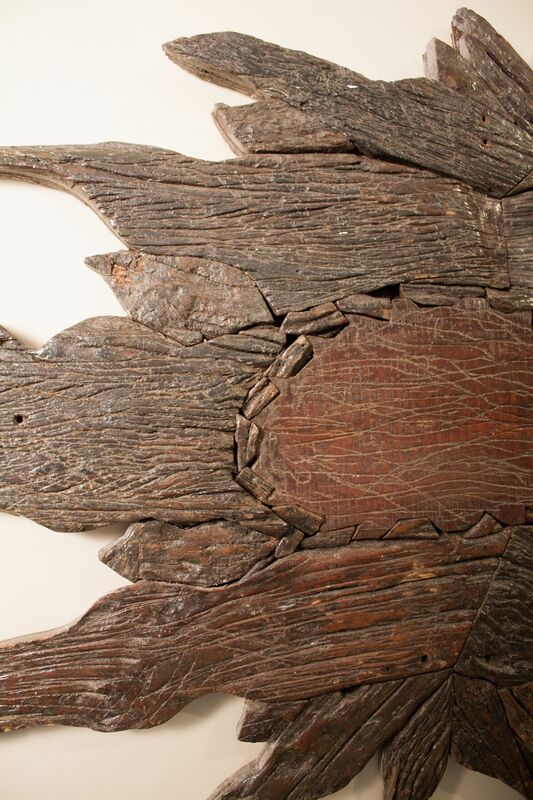 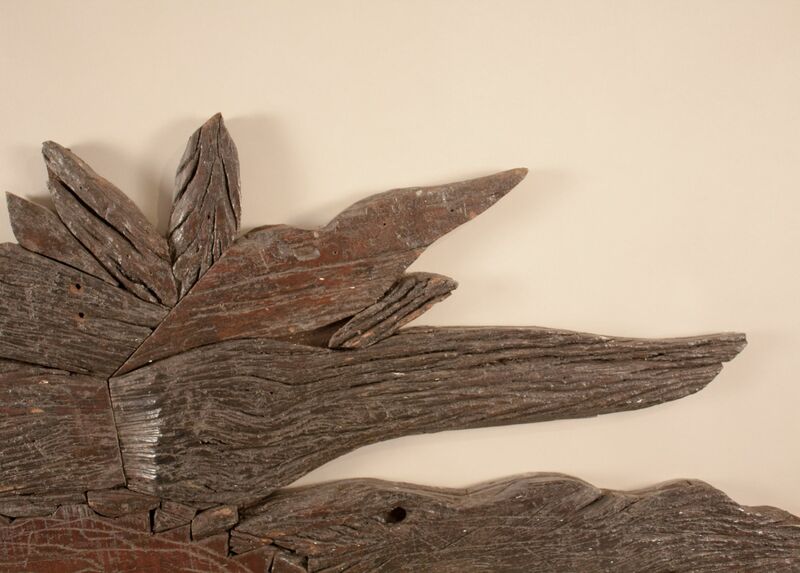 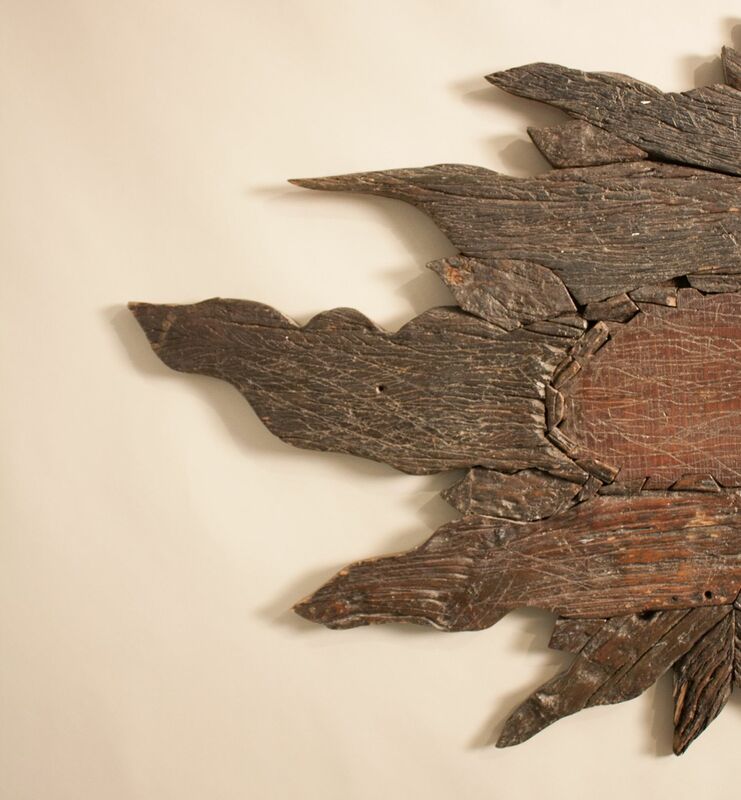 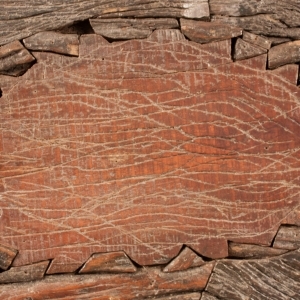 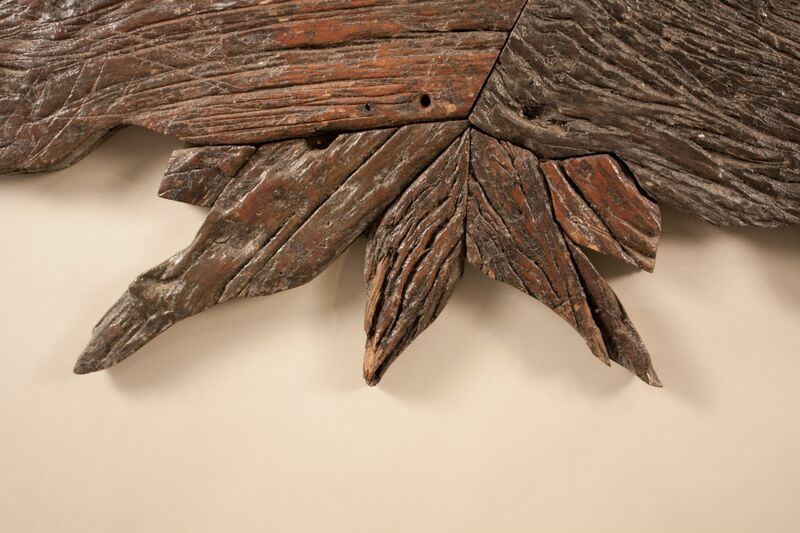 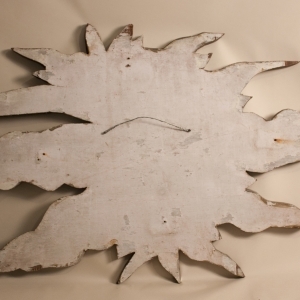 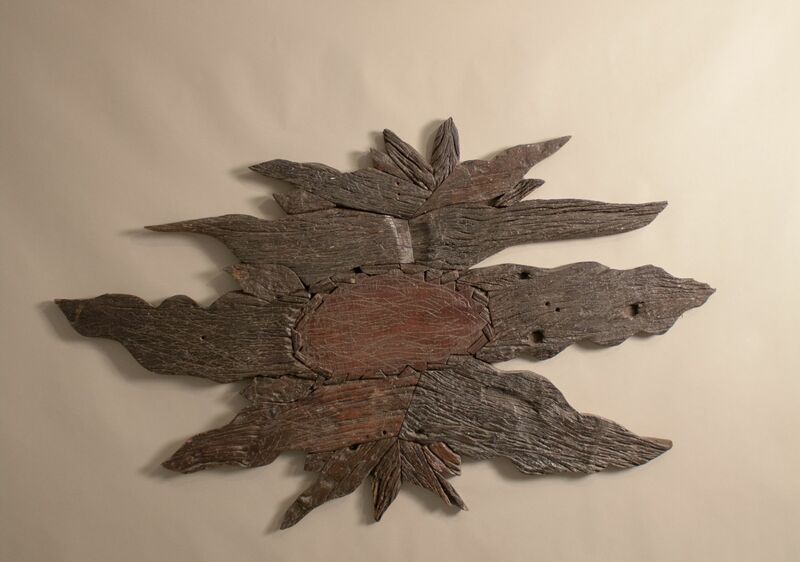 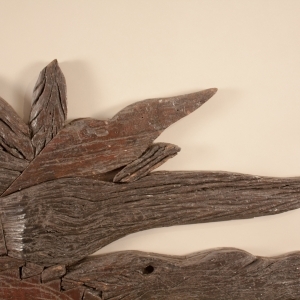 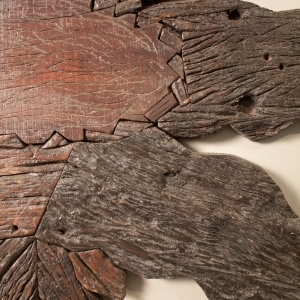 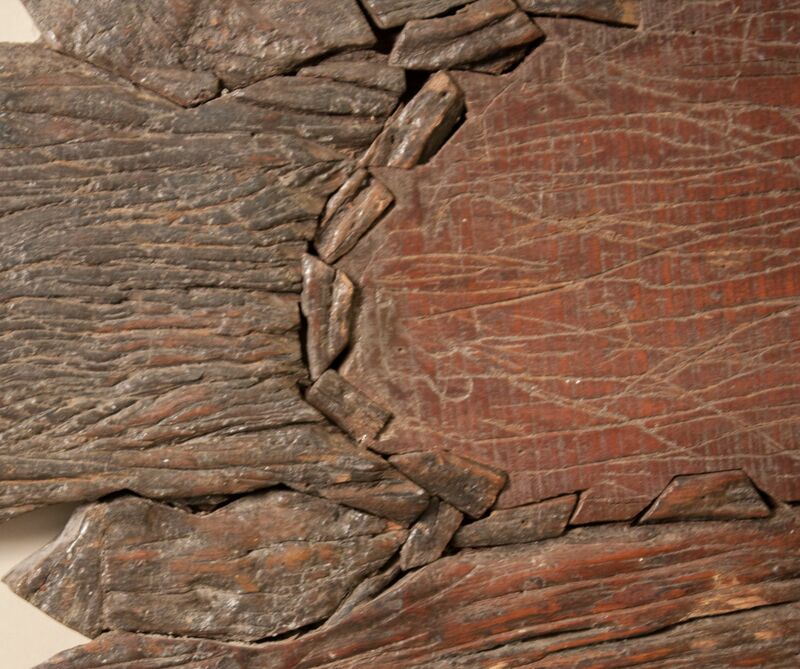 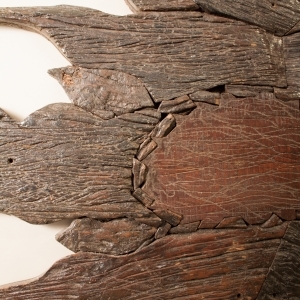 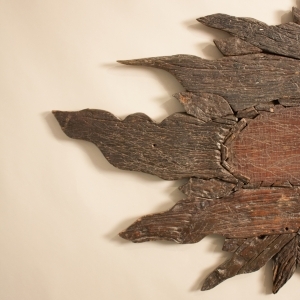 An organic folk art wall decoration crafted from attentively joined pieces of richly textured reclaimed hardwood. 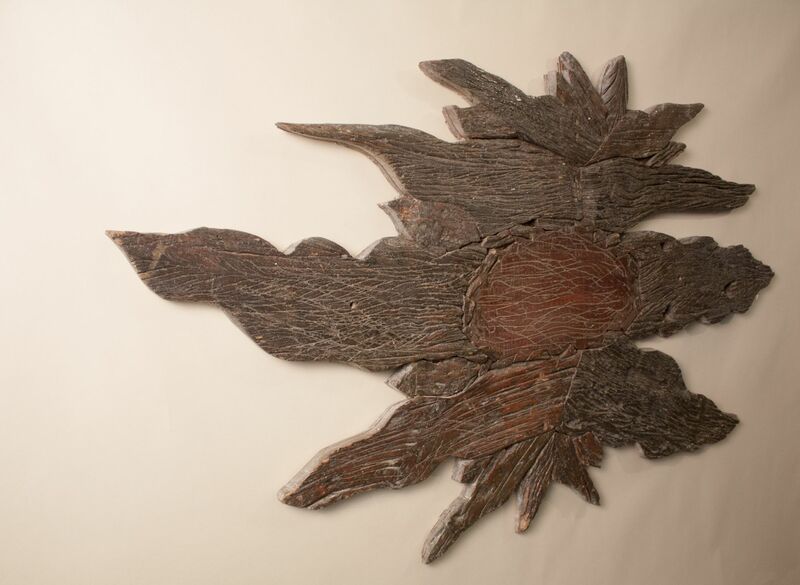 We see a nearly five feet by three feet sun or flower, but the panel is abstract enough to be open to interpretation and hung horizontally or vertically. 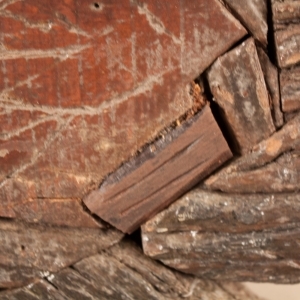 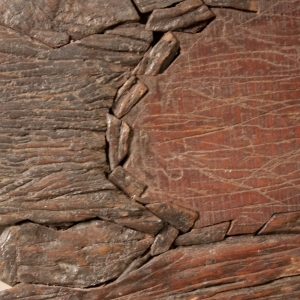 A small repair was made to the piece (see image #11). 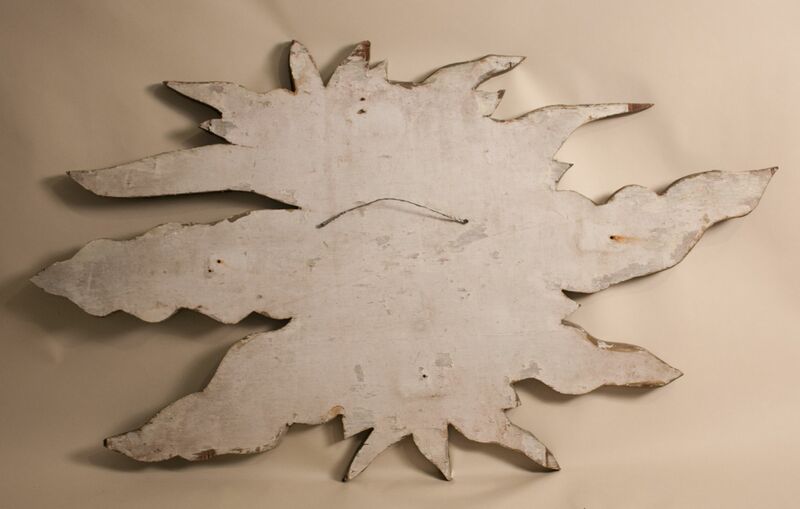 Mounted on painted plywood (see image #13).